Stick this colorful floral sticker anywhere you want to add a little Arizona pride! 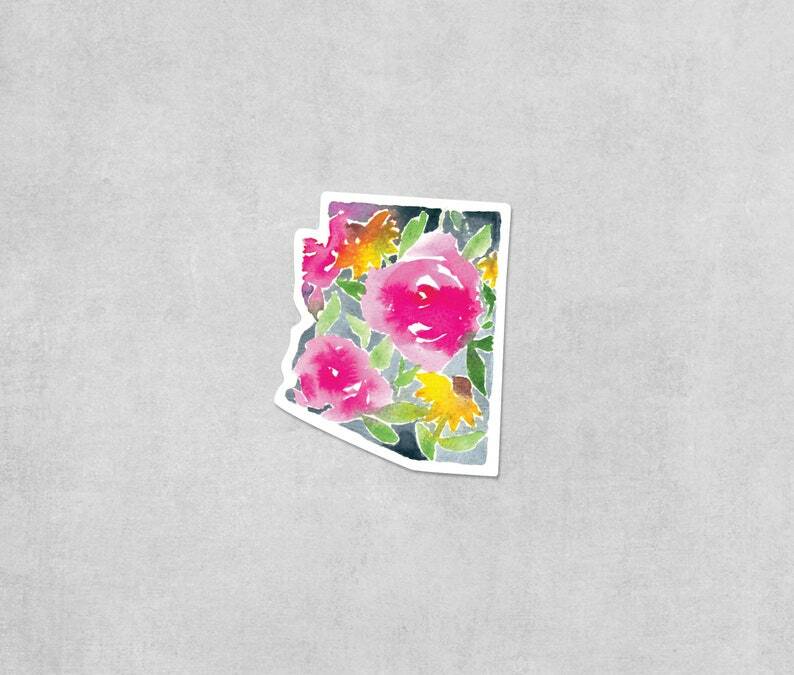 This Arizona sticker features a bright pink and yellow floral design. Each sticker measures 3" high by 2.5" wide, and is printed on heavy-duty, waterproof vinyl with a matte finish. Plus, sticker orders always ship free!